Every fall, with the year’s final issue on the stand, I think, finally, a rest. Two days later, I am licking my paws like an idle dog. A month later I am contemplating things, like the happiness of others. I surf Craigslist for a banjo I don’t know how to play. I should shave my head. Should, should, should. Maybe we should get a kitten? I am quitting caffeine (a proclamation that lasts until about 11 am). February comes and goes in geologic time, yet it is still winter when, at this magazine, we have to start thinking about spring. This is a monumental test in motivation. It can feel like shopping for new flip-flops during a blizzard. But story ideas start to trickle in, initiating faint tectonic shifts in my spirit. Becca James pitches “spring milk,” which carries me forward to a place where the sun sits higher on the horizon. Apparently the first milk of the season tastes different. It tastes better. And after a long winter silence, Rachel Turiel, our managing editor, emerges with an idea. That is what her stories often start as: Ideas. Themes. Notions. This issue, it’s about dinner and eating at home and eating out and what it all means and where it is all going. “Do you like the idea?” she’ll ask. I say something like, ‘It feels ambitious, but I know you will do something good.’ And of course she does. Then Ole Bye suggests a photo essay on old tractors. “Do it,” I say to the accomplished photographer. “No time,” he says. So I do it because it is a good idea. And it leads me to a lot of tractors buried in snow. So I wait for the melt and it snows again. And then, again. But as it is in Colorado, it turns 60F and just like that, the snow is gone and the mud is here. 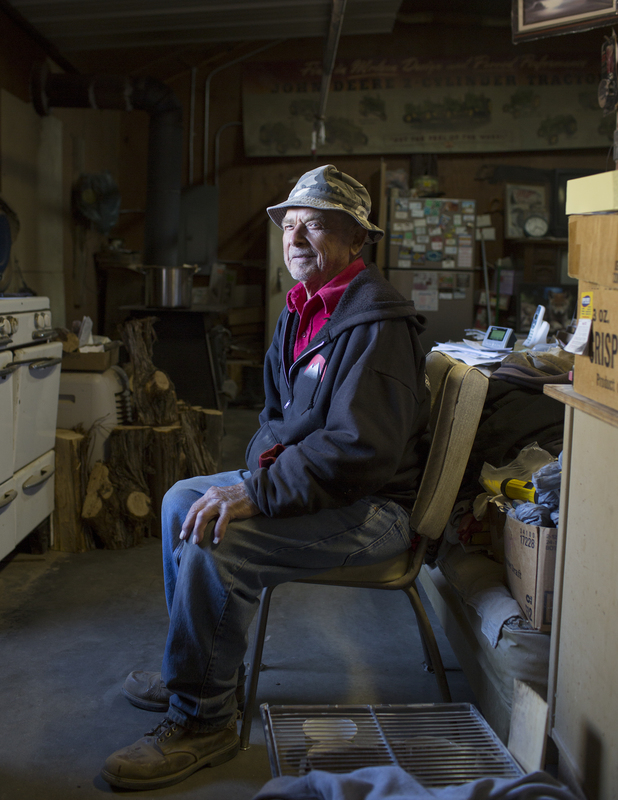 If you own an old tractor in Southwest Colorado, you probably have heard of Joe Schmidt. Joe reclaims old tractors and gives them new life. Working tractors, not shiny show tractors. Joe lives with his dad, our cover model, Armond, 88, in Lewis. Armond couldn’t give two wits about tractors. Yes, you are right, don’t tell your dad. Let the cat rest. Let him doctor himself, and mindfully lick his paws. Let the returning sun replenish him with vitamins. Maybe he will hunt again tomorrow. Joe then handed me a small album. On every page, a carefully cataloged photograph of a tractor. A real picture. A photograph made on film. Pet deer and tractors, sick cats and photographs, words and stories. Beautiful people loving what they love. “Would you like a Pepsi?” Armond asks. Why yes, yes I would.